Bollywood's renowned singer Abhijeet Bhattacharya is known for his controversial tweets. On Tuesday, micro-blogging site Twitter suspended his account after he posted a series of 'offensive tweets', especially against women, reports news agency PTI. On May 22, Abhijeet Bhattacharya reportedly abused some women Twitter users, including JNU student activist Shehla Rashid, after which a complaint was filed. "There is rumour she took money for two hours and didn't satisfy the client... Big racket," he tweeted about the JNU student. After the singer's account was suspended by Twitter, Shehla Rashid thanked everyone for their support. She wrote: "Sincere thanks to everyone for the support. Abhijeet had to delete his tweet. His Twitter account has also been suspended." Abhijeet Bhattacharya told PTI that author Arundhati Roy and people supporting JNU were behind the suspension of his account. ""Yes, I just saw it. They are trying to block Paresh Rawal also. All Arundhati and JNU group behind this after Paresh Rawal and I tweeted against Arundhati for her anti-India stand," he said. On being questioned on whether if he would try to reinstate his Twitter account, Abhijeet told PTI, "I (don't) care a damn... entire nation is with me." 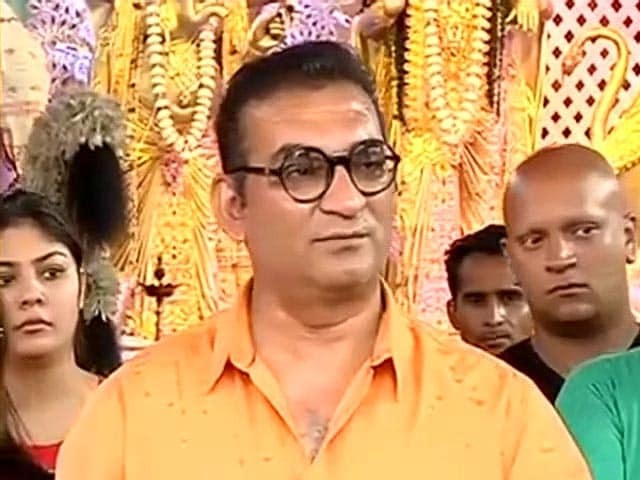 However, several Twitter users have extended their support for Abhijeet Bhattacharya and questioned the micro-blogging site for its biased behavior.#IStandWithAbhijeet is trending on Twitter. Abhijeet Bhattacharya began his Bollywood career in 1990 with the film Baaghi. He has voiced songs in over 18 languages including Bengali, Odia, Bhojpuri, Marathi and Gujarati. He has been the voice of actors like Shah Rukh Khan, Saif Ali Khan and Akshay Kumar in the nineties. Abhijeet Bhattacharya has voiced songs for films like Om Shanti Om, Gangster and Dhoom.